Angelos & Barry go out on tour! Brace yourselves England – and Cardiff – Angelos & Barry are going out on the road this Autumn. 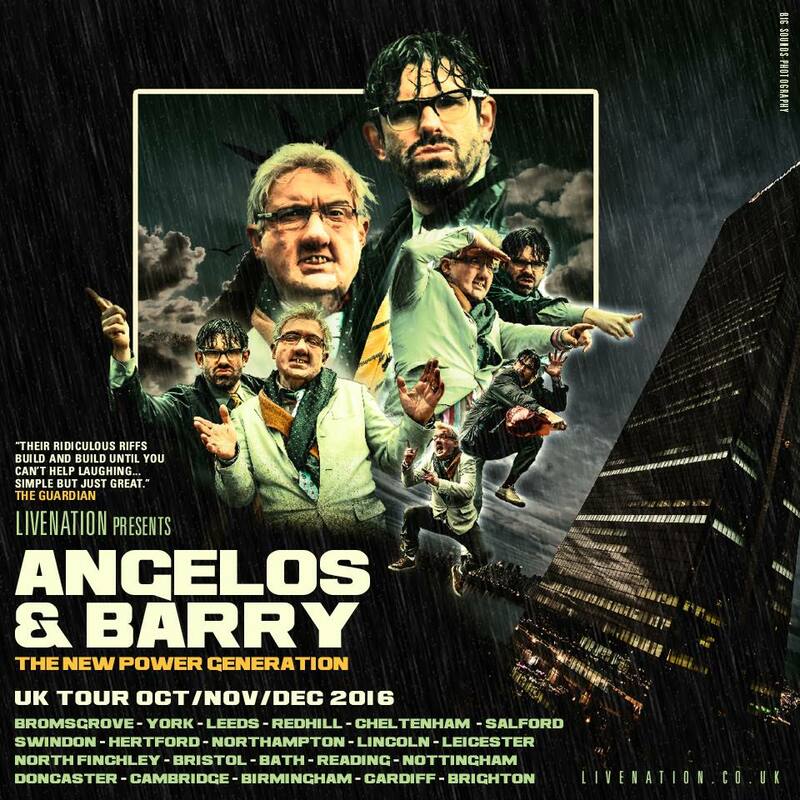 We’ve received words from their minders, Dan Skinner and Alex Lowe that the dynamic duo, fresh from the huge success of their incredibly popular podcasts, will be undertaking a 21 date tour: Angelos & Barry: The New Power Generation. The run begins in Bromsgrove on October 20th 2016. From there they move to York, Leeds, Redhill, Cheltenham, Salford, Swindon, Hertford, Northampton, Lincoln, Leicester, London, Bristol, Bath, Reading, Nottingham, Doncaster, Cambridge, Birmingham, Cardiff and Brighton. Tickets are already on sale via Live Nation, and more dates may be added in the gaps between the first show on October 20th and the last on December 2nd. Keep an eye on the duo on social media, to be the first to know. While you wait, there’s now 60 podcasts available from the pair on Soundcloud, so why not tuck in below?